The Halles Paul Bocuse is Lyon’s main food market and it’s a place of legend, named after the city’s most famous chef. On this tour, benefit from a small group size, meaning that you can easily navigate the market and will have plenty of chance to talk with your guide and ask questions. 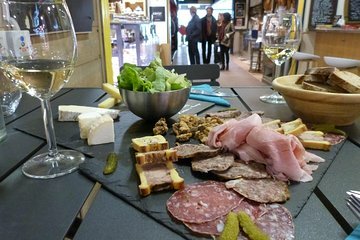 Visit popular food stalls and vendors, learn about regional specialties and Lyonnaise delicacies, and taste everything from wines, cold-cut meats, and cheeses, to sugared almonds and macarons.